The Brooklyn Ice House in Red Hook is a bargain for beer — $3 PBRs — and barbecue — $4 pulled pork. As with most parts of New York City, the prices fall in inverse relationship with distance from the subway. Distance, of course, is one of the draws of the neighborhood for newcomers, says the Ice House's bartender: "People come out here to get away from it all." A sanitation worker at the bar who gave his name as Louis was born and raised in the area, and says that at one point, it felt like almost every other building was abandoned. So in plenty of senses, change was good. 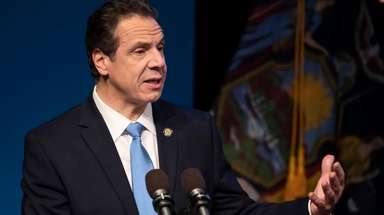 More change might be coming to the neighborhood in the form of Mayor Bill de Blasio's foray into mass transit construction, the Brooklyn-Queens Connector, a streetcar running along the waterfront from Astoria to Sunset Park. De Blasio's 16-mile-long streetcar dream would provide a means of intra-borough transportation for about $2.5 billion, linking to trains, buses and ferries and connecting some transportation-lacking neighborhoods, such as Red Hook, with centers of commerce and development, like DUMBO and Downtown Brooklyn. De Blasio projects billions of dollars in economic impact, and says that this will be a boon to lower-income residents — pointing to the 13 NYCHA developments close to the streetcar's route, home to some 40,000 tenants, who will soon have new options of easy access to work, health care, and leisure. It could be a 20-minute commute to DUMBO from Red Hook, shaving off nearly half an hour. 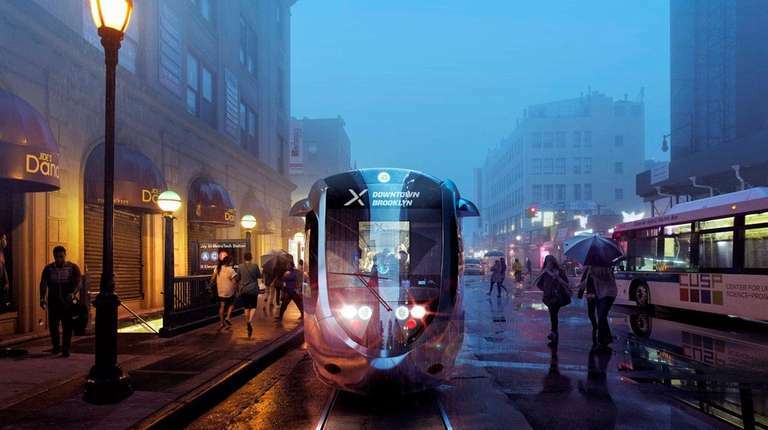 The streetcar would be representative of a modern transportation system, cognizant of a non-Manhattan-centric world, where it's exceptionally normal to live, work, and relax within the locations formerly known as the outer boroughs—without needing to resort to using a car. There are a number of questions that remain to be answered about the streetcar, chief among them whether the fare will be integrated with the MTA system. Otherwise the streetcar, whose own fare would be pegged to the MetroCard cost, would still result in two fares, potentially limiting the number of people willing to use it. The flashy and aggressive rollout of the plan also overshadows other potentially more revelatory transit projects which are still gathering dust — such as the Utica Avenue extension, which would bring service on the 3 and 4 lines to south-eastern Brooklyn, or the X train, which would revive little-used above-ground tracks connecting Brooklyn, Queens, and the Bronx. Such plans would benefit a greater number of more-transit-starved residents from the even-more-outer parts of the boroughs. The number of passengers that de Blasio anticipates might use the connector per day—50,000—is not much more than a couple of high-capacity bus lines. So why this particular streetcar even when others, such as ones exclusively in Red Hook or Staten Island, failed to gain support? The construction of this one would essentially pay for itself, says de Blasio, through an increase in property values along the route and the resulting increase in tax revenue. Another way of saying this is that the connector will speed up already-skyrocketing gentrification along the route and will be paid for by harnessing that force. Not halting gentrification, but harnessing it, is becoming a theme of the de Blasio administration, from his affordable housing strategy to his plan to save NYCHA. In Red Hook yesterday, he called gentrification "the 800-pound gorilla" in the room, and said that "looking away is not the answer." Instead, you do what you can. This kind of solution to city problems—smaller as opposed to soaring, matching plans to sources of funding—is a bit different from the mayor's early rhetoric on merging the two cities into one again. Perhaps the streetcar paves the way for more useful transit projects in less finance-friendly parts of the outer boroughs, but it doesn't do it all at once—as more ambitious plans, such as the mayor's pre-kindergarten initiative, did. In the meantime, perhaps Red Hook will be a little less secluded, which the patron at Ice House says wouldn't be a bad thing. In the nearly empty bar, he inspected a map of the streetcar's route, provided by a reporter. He nodded his approval of getting from there to destination areas, like restaurants in Williamsburg. But getting from far Brooklyn to Astoria? "Why?" he asks. "That's so old Brooklyn," says the bartender. "Like, why would you go to Queens?"